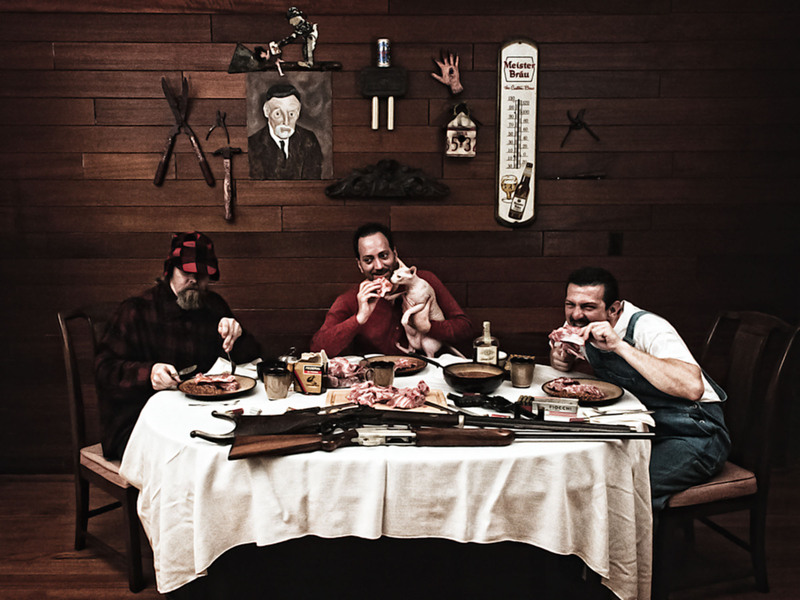 Macabre blends elements of true crime, math rock, nursery rhymes, punk, thrash, folk melodies, death metal, jazz fusion, black metal and more into an energetic, catchy and unmistakable amalgam. Murder Metal, refers to Macabre’s signature style. It’s a genre of one. The all-too-true tales of man’s inhumanity to man are delivered with knife-edge precision, interspersed with Corporate Death’s patente d (back when he was a toddler) screech. Fast and heavy, with a focus on things that make happy shiny people cringe, the original members, Corporate Death (guitar and vocals), Nefarious (bass and vocals) and Dennis the Menace (drums) are still together. 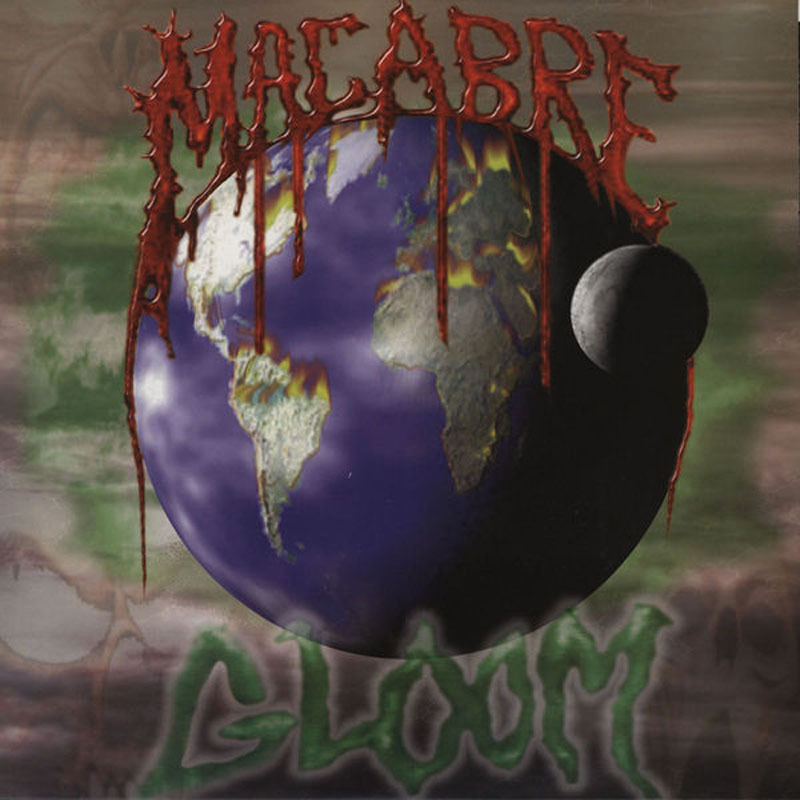 Macabre have brought mayhem to the world in the past decade, playing dozens countries over the years. 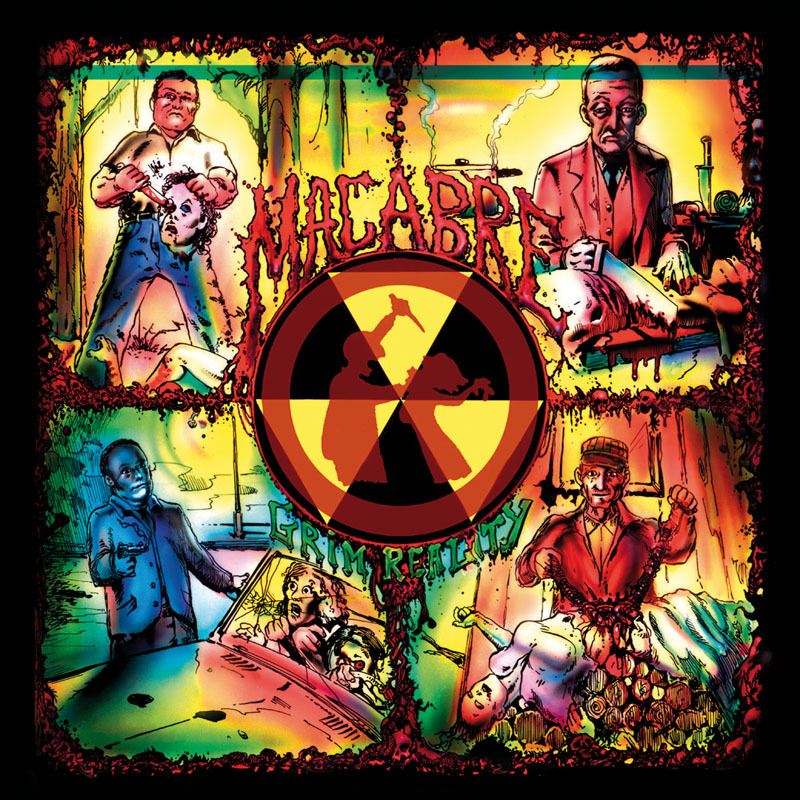 Macabre’s rabid fans, including members of bands ranging from Carcass to Slipknot, relish the band’s tight and increasingly sophisticated music; they exult in their musical chops as much as in the band’s sense of humor, their killer music, and its deadly subjects. Their latest release Grim Scary Tales was recorded by Geoff Montgomery and is a historical look at murder, starting off with the earliest known grizzly tales. Very diverse musically and very twisted historically. Murder Metal was produced by grammy award winner Neil Kernon (Judas Priest, Cannibal Corpse, Queensryche). He did a masterful job on Macabre’s 2000 magnum opus, Dahmer – a twenty-six song life story murder musical of the man who made Milwaukee infamous. Corporate Death, serial killer scholar and connoisseur, attended the trial, taking extensive notes that became the basis for the concept album. 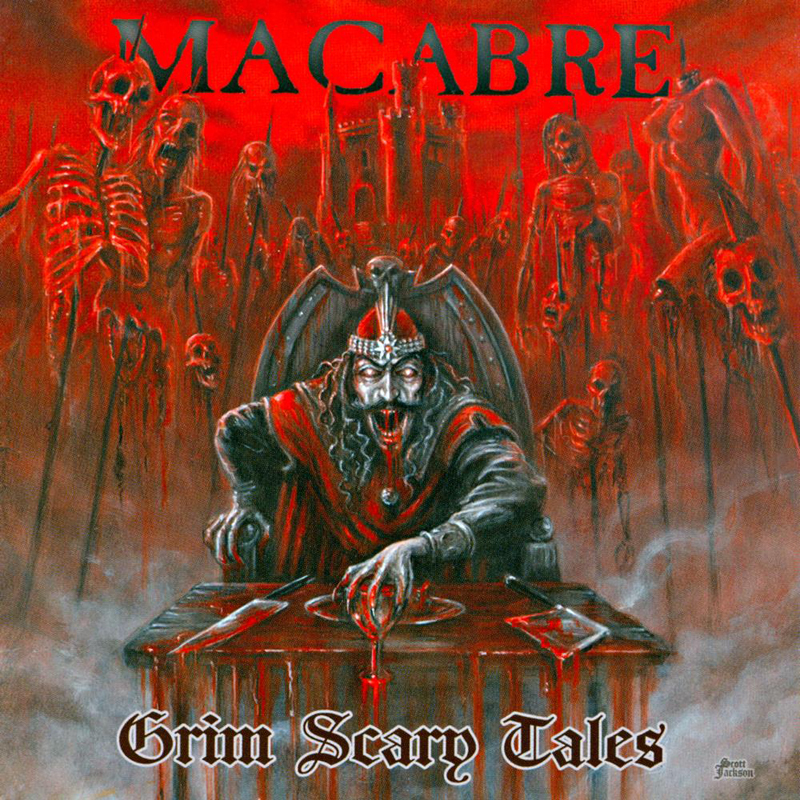 Like Macabre’s beloved 1993 classic Sinister Slaughter (Nuclear Blast), Murder Metal’s 13 tracks encompass tales about a lethal assortment of serial killers and mass murderers. It spans the centuries, ranging from a ditty about the 16th century “Werewolf of Bedburg,” through “Jack the Ripper” in the 19th century, to a host of more recent murderers like the “The Iceman” and the “Hillside Stranglers”. The band revisits Fritz Haarman, the German butcher whose tasty sausages made unsuspecting cannibals of his customers. . The new song is sung in Fritz’ native tongue. Asked if he could make up any of these fiendish tales, Corporate Death admitted, “I could, but then it wouldn’t be true crime.